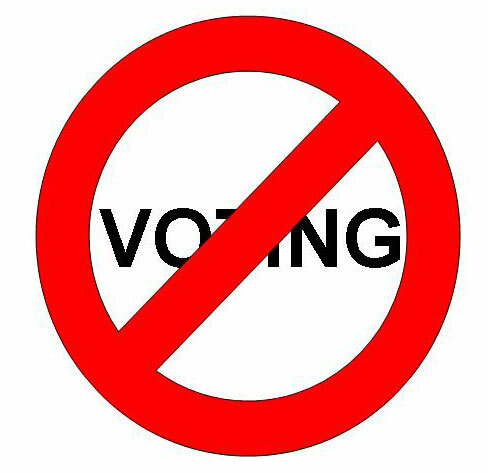 Protesting against the lack of development, voters at the Patna polling station in Tindwari assembly constituency of Uttar Pradesh's Banda district boycotted the assemblypolls Sunday. Election Commission sources said this is the first such incident during the four phases of the seven-phase state Assembly polls, which started Feb 8. Stating the boycott was 100 percent, they further said the sector magistrate of the area verified to the poll panel that the voters faced no intimidation to stay away from casting their ballots. In fact, a section of voters announced in the morning that they would boycott balloting due as a mark of protest against lack of development in the area.